Note: Once again, spoiler alert! Don’t say I didn’t warn you. Breach was one of the stand-out movies of the year. (I wouldn’t put it on my top-ten, but it’s definitely fascinating). It also has what’s probably the best ending this year. The ending is only about four minutes long, but the set-up and execution are flawless. When I first saw the movie, I sat there and rewound the DVD four minutes over and over again just to see the ending another time. I probably watched it about eight times. Sure, Zodiac had a killer ending (no pun intended), but it highlighted things that we already knew from other parts of the movie. Breach hints at questions throughout its running time, but in the end, we see clearly now: it’s a real eye-opener. 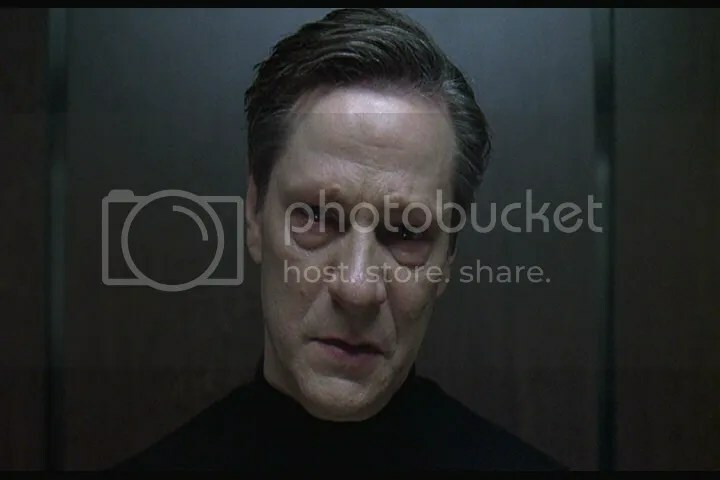 At this point, Robert Hanssen (played with great fury by Chris Cooper) has been arrested for being a part of the greatest security breach in U.S. history. In the closing credits, we end up finding out that he’ll spend a life sentence in jail and 23 hours a day in solitary confinement. 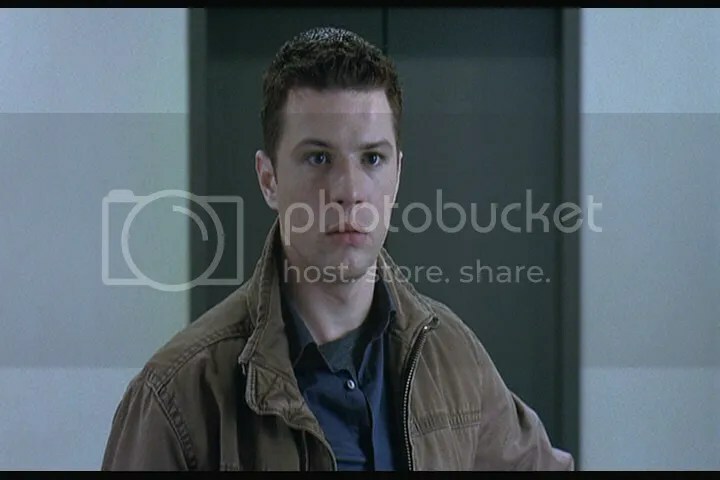 His partner, Eric O’Neill (Ryan Phillippe in a wicked-good performance), is a fellow FBI agent who was planted as Robert’s partner in order to get evidence concerning Robert selling military secrets to Russia. Eric enters Robert’s office with an air of nostalgia. He carries a box of his supplies, pictures, and other paraphernalia: this is the last time he’ll see this office. Kate Burroughs (Laura Linney as Eric’s boss) comes in and discusses what’s happened with the case. She mentions all the organizations that the Director thanked for arresting Robert, “…but he couldn’t thank the guy we put behind that desk,” of course talking about Eric. “I didn’t expect them to,” he says. I’ve always believed that there’s a certain sense of foreboding to that statement (not just in the context of the film). Not uncommon on TV, in movies, and among friends and family, we’ve all heard this phrase maybe at Christmas time or when we get what we want and realize what the price was to achieve it. She can’t think of a better time. 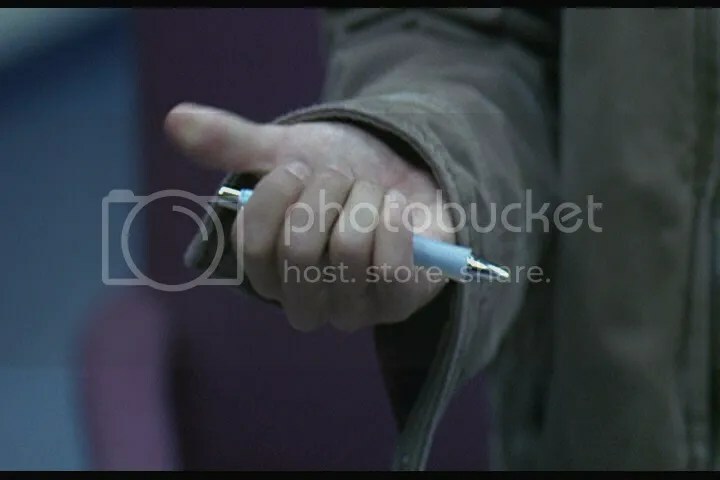 He takes the pen (a memento of Robert’s, who says at one point in the movie, “These are the greatest pens in the word. I would never write with anything else”), and after he clicks it a few times, the soft piano score starts. Kate says, “Good luck, Eric” as he leaves. “You, too,” he says. As we hear the door close, she triumphantly nods and smiles. 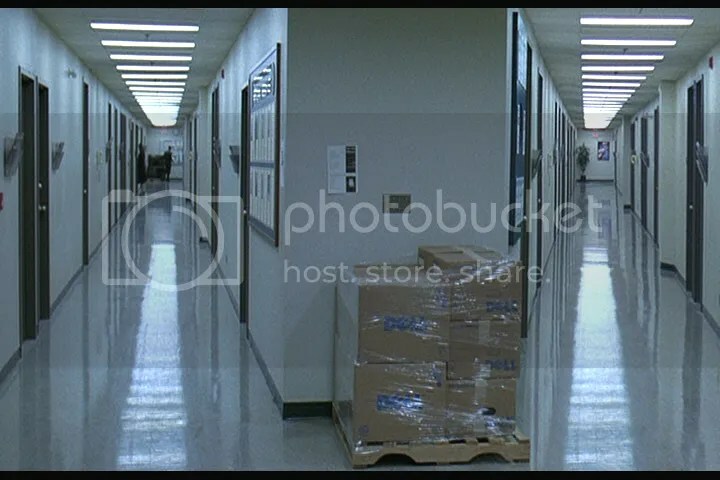 Eric walks down the hallway, wearing a cocky smile and nodding cutely. No way. This feels way too by-the-book: guy saves the day from the worst something-or-other in U.S. history and acts all humble and cutesy about it, and now he’s off to save someone else. What’s happening, Billy Ray? Can I not depend on you? Are you–? A crossroads, a fork in the road, which usually imply making difficult decisions. But what’s so hard about putting a bad guy behind bars? 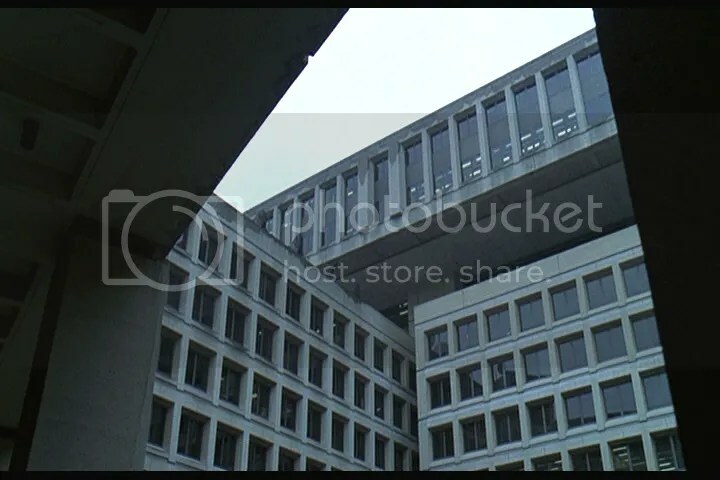 The elevator dings, and Eric walks faster to catch it. He puts his hand in between the closing doors, and they open for him just as he wished them to. He’s getting what he asked for. And here, Phillippe makes a face that should convince anyone he’s not the same boy from Cruel Intentions. What a perfect mix of horror, embarrassment, and shame. Eric doesn’t know how to act. Should he be proud in front of the agent and guard? Or should he be ashamed that he deceived a fellow human being? He knows. “Pray for me,” says Robert. Look at the reddish bags under his eyes. The way that he delivers the line makes him seem even more drawn out. Eric says that he will, as if it’s his own fault that he has to pray for Robert. 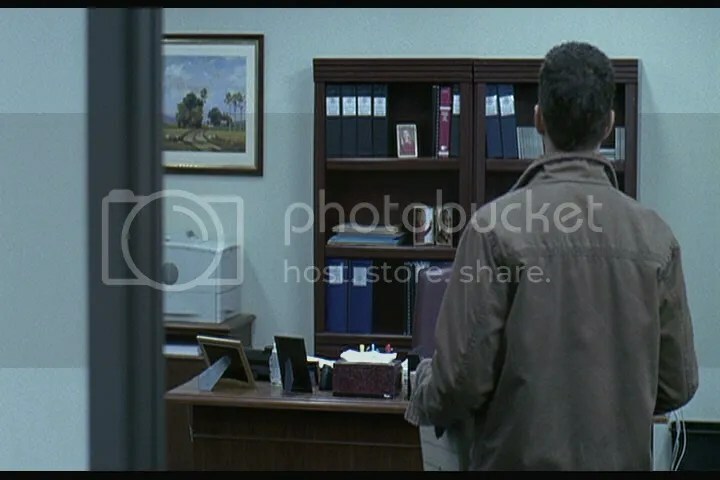 The doors could have shut during the last shot after Robert asks Eric to pray for him. 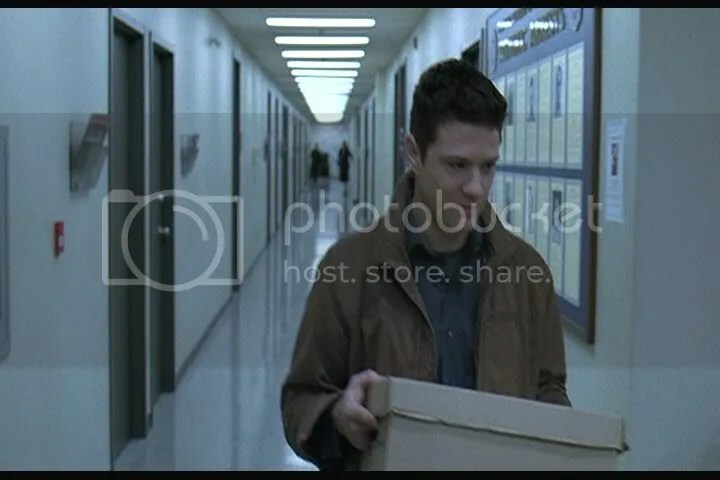 But from this reverse angle of the previous shot (as Eric says, “I will”), we see that the doors close not on Robert, but on Eric. 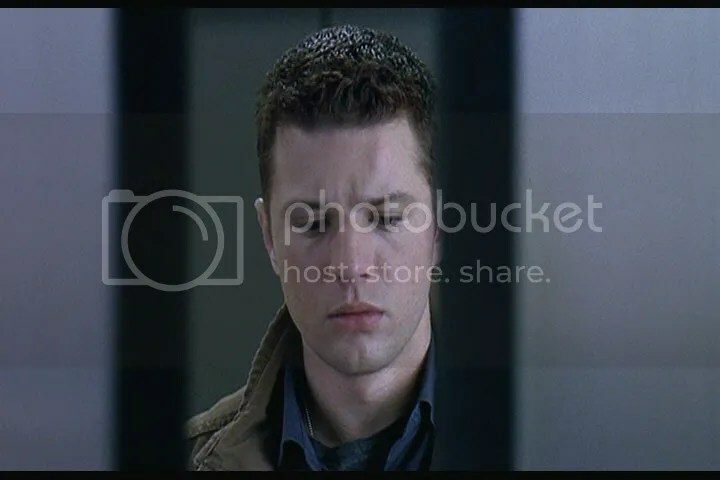 I think this ending works so well because it has the audacity to suggest that what Eric did, leading Robert to believe that he could trust Eric (that Eric wasn’t some kind of spy), puts him on the same level as Robert. Billy Ray loves true stories: he’s also the director of Shattered Glass, another great installment of Ray’s filmography. And just like in Glass, Ray doesn’t care whether or not his film portrays a good guy in a bad light or an antagonist positively. 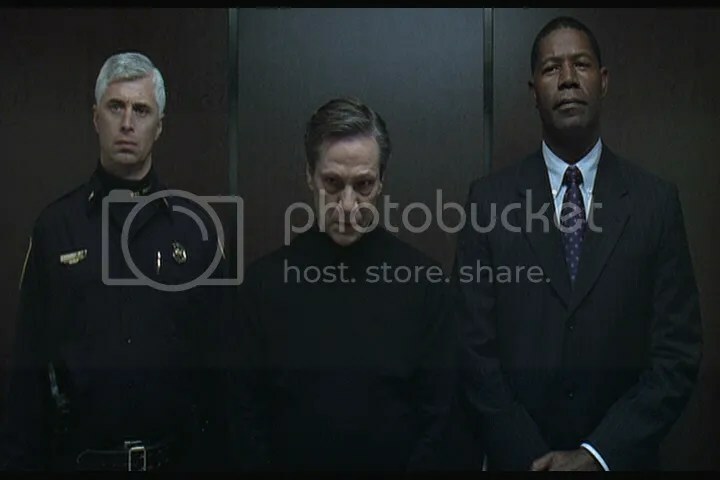 By the end of Breach, Robert seems like a victim, and Eric is the perpetrator. And on top of that, we get all this from just two smiles, a hallway, and a pair of elevator doors. This movie surprised the hell out of me. I love it.